Doosan Infracore China Corporation (DICC) was a Korea enterprise established on October 1, 1994 and officially put into production on June 28, 1996. DICC specializes in the manufacture and sales of excavators, forklift trucks, and engines with an accumulated investment of 73 million dollars. 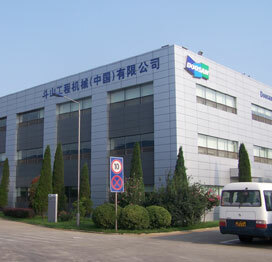 DICC has over 1,600 employees, and a plant of 250,000 m2. The annual output is 20,000 sets of excavators and 8,000 sets of forklift trucks. Doosan excavator has successively taken the lead in market shares of China’s excavator market for 7 years since 2007.